Since 1980, The Pool People of Ohio have remained dedicated to supplying Central Ohio with only top-of-the-line swimming pools, hot tubs and pool supplies to ensure that our clients can fully delight in their leisure time. Now, we are taking our commitment to you even further! The Pool People of Ohio now offers you a complete line of the best models of inground pools AND includes a FULL 2 YEAR warranty & 1 year services package. We stand with our customers before, during, and most importantly, after the installation. 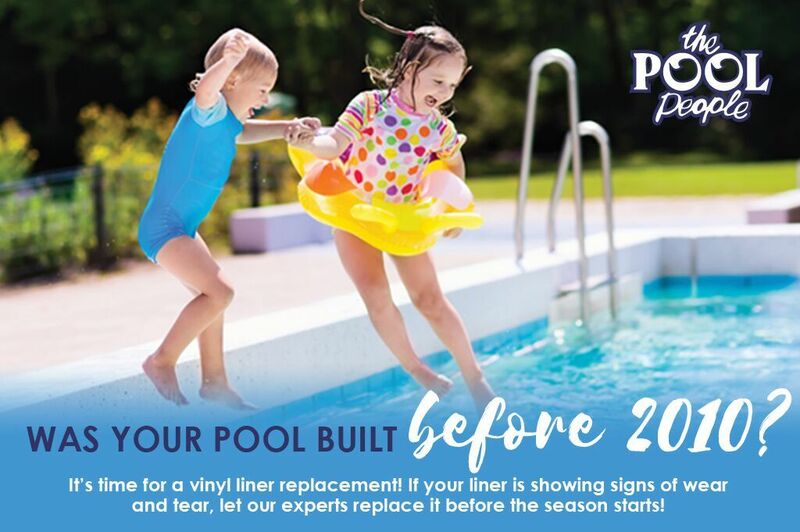 We want you to enjoy your new inground fiberglass swimming pool and inground vinyl liner pools for all year round fun! Every part is covered, and we guarantee a no hassle, no cost, no questions asked warranty for every swimming pool we install. And, if that isn’t enough to prove to you that we are committed to improving your lifestyle of leisure and relaxation, The Pool People of Ohio will also open and close your pool for the FIRST YEAR after installation! No one else in the business offers you such complete service, which promises a long-term relationship with us. We can provide more than top quality inground pools! Love the pool people, love the pool. They work so well together like a well oiled machine. My daughter & son in law & I Highly recommend them . it took them a week from start to finish . Cleaned up , respected the property, Awesome bunch working there. The Pool People are wonderful. They are professional, knowledgeable, and competitively priced. We love our pool and spa. Exceptional staff who are always willing to help & go above & beyond your standard customer service to truly help their customers. If an employee doesn't know the answer to a question you have you better believe there is another one there who CAN answer it. I know this is the busy/crazy season for you all. Keep up the great work. We your loyal customers appreciate you!! Installed a fiberglass inground pool for me and did an excellent job!! Highly recommend!! This past year we had the Pool People in Lancaster, Ohio install a pool for us. The process from start to finish was great. We researched pool companies for 2 years and after we had Dan come out to our house the search was over. Dan took the time to listen to our needs and gave suggestions. Dan came out to our home the prior year and we was not ready yet. I made other phone calls in the area and two of the companies would not even come to our house. When you are spending that much money on a pool you want to make sure you are making the best decision. I also called many of the references provided by The Pool People and I did not find anyone that was not happy with the installation. I would suggest The Pool People to anyone that ask me and I would do it all over again. The Pool People installed our pool last summer. Wonderful experience! The entire staff was courteous and extremely helpful through the whole process. That service continued throughout the year as we had questions regarding our new system. I would highly recommend them to anyone interested in installing a pool. We did an extensive renovation to our home in 2014 including a new pool installed by the Pool People in our outdoor living area. In fact the project won the 2014 NBIA award for best outdoor living area. The Pool People were great to work with during the project and their service and support continues to be outstanding. We receive many compliments on our pool and I highly recommend the Pool People for a new pool or your service needs. The Pool People installed an 18 x 43, 8 ft deep saltwater pool with vinyl liner for us in July 2015. The installation was fully completed in just 9 days. We were so impressed with Dan and his crew throughout the construction process. They were professional and extremely efficient. We have had no issues and our pool is fantastic. They arrived promptly to open our pool this season and we took advantage of the free 'pool school' they offered at the store and found it very helpful to teach us how to maintain our pool. We would definitely recommend The Pool People! The ladies are great. I've called in the store for help and they were able to walk me through everything on the phone. Thanks Mary & Karen. I could not have been pleased more! The experience was as good or better than my expectations. You are the BEST!! It was because of Mary and Karen we decided to go with the in ground pool. They also talked us into the light (which we love). All of your installation crew did a great job. We have never had a job of any kind done so well. We love our pool!!! Your product and services were excellent! The pool is absolutely beautiful - Just what I wanted! Dan was just great in always answering my questions. Excellent service, beautiful pool. Quickly installed in time to enjoy August & September. Great Service, Great Product & Exceptional People! Thanks so much! We are every happy with all aspects of our new pool. You were very accommodating working around our construction schedule. Extremely happy with product and service. Dan was great to work with throughout our two year process. He and his team were very attentive to our needs and details. We feel we have a great pool due to The Pool People. Have a great Summer!! Very pleased with entire process. Thank You!!! Out of all the contractors I have worked with in the past, Dan Dodds & The Pool People were by far - the most exceptional! From our initial conversation, he was knowledgeable, professional and extremely easy to work with. He has demonstrated exemplary customer service before, during and even after the install of our pool- willing to answer any questions we might have I would (and already have) recommend The Pool People to anyone! !